D J Pipeworks - Builder, Plumber based in Farnham, Surrey. 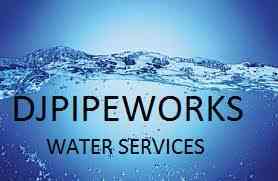 D J Pipeworks water services provide a comprehensive range of water services using the latest trenchless technology and moling equipment to lay and replace underground water pipes and repair underground water pipe leaks. We have specialist skills gained through over 25 years experience within the Water Industry. Our experience ranges from large diameter water mains to the smaller water supply pipes that feed the average home. Replacing your water pipe with a plastic one can eliminate all these problems. Using our high tech moling equipment we are able to replace existing pipe-work without needing to dig trenches, minimising disruption to the property .